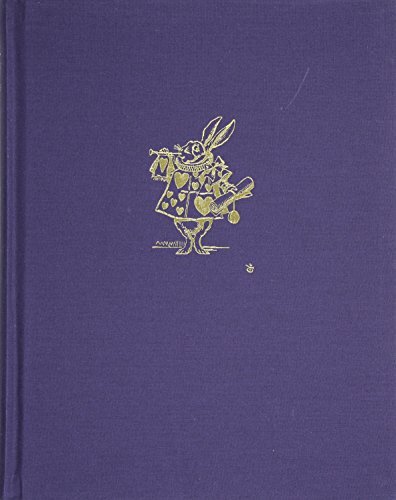 Hardcover facsimile edition of the original version of Alice's Adventures in Wonderland, which Carroll wrote and illustrated himself as a Christmas gift for Alice Liddell. Generations of readers have loved and embraced Lewis Carroll’s tale of the little girl who falls down a rabbit hole into a fantasy world of anthropomorphic creatures and absurd croquet matches, but how many can recount the history behind this famous story? It all began one golden July afternoon in Oxford in 1862, when the three Liddell siblings—Lorina, Edith, and young Alice—set out on a boating trip with two close friends of the family, Robinson Duckworth and Charles Lutwidge Dodgson. 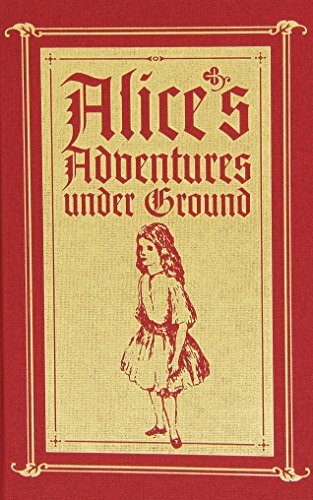 To keep the children amused, Dodgson spun a tale about an inquisitive young girl and her escapades in a magical underground world, eventually writing it down at his heroine Alice Liddell’s request. The little book he produced, entitled Alice’s Adventures under Ground, was beautifully bound in morocco leather, illustrated with 37 charming pictures, and given to Alice as an early Christmas present in November of 1864. Friends and fellow novelists who saw the volume urged Dodgson to publish the book formally, and literary history was made in 1865 when the first of countless best-selling editions rolled off the press. In this superb facsimile edition of Dodgson’s original manuscript, modern readers can at last enjoy the expressive script and vibrant illustrations of the original, one of the British Library’s most prized possessions. 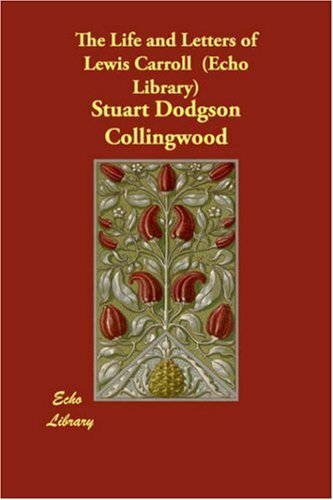 Perfect for the literary collector, the lover of Alice, or the child at heart, this remarkable volume includes fascinating biographical commentary on Dodgson as well as a recounting of all the stages through which the manuscript passed. 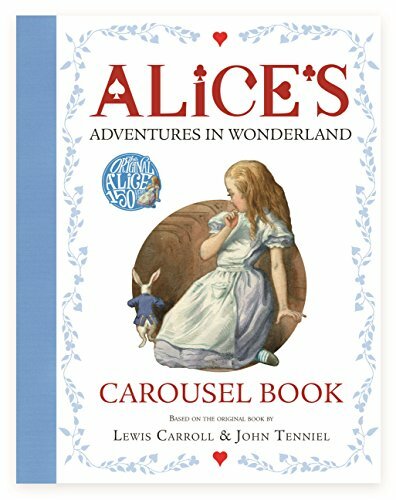 This journey produced a new tale itself, as the manuscript was revised, expanded, and illustrated by Punch cartoonist John Tenniel en route to final publication as Alice’s Adventures in Wonderland, under Dodgson’s celebrated pen name of Lewis Carroll. 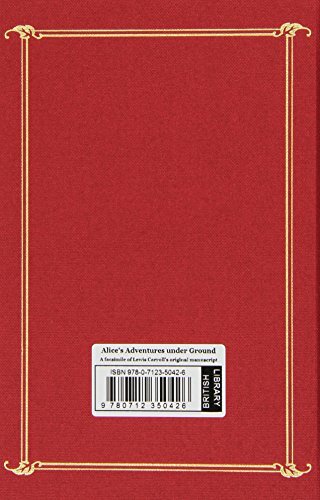 Extensive 3-volume book about all translations of “Alice’s Adventures in Wonderland” and “Through the Looking Glass and what Alice found there” ever made world wide. An illustrated biography of Lewis Carroll by Stuart Collingwood. 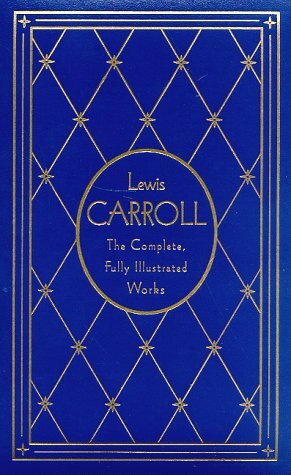 This 868-page leather-bound volume contains a huge collection of Carroll’s stories. Many autors have attempted to write stories in ‘Wonderland’ style, pretending them to be recently recovered ‘lost’ stories by Lewis Carroll. This book is different. 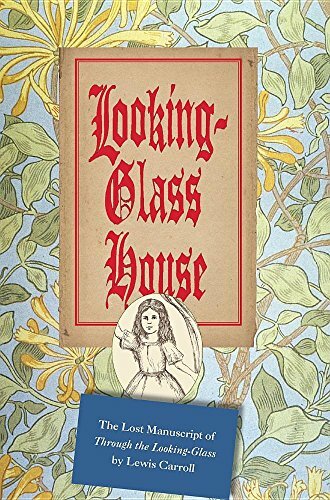 It is Carroll’s original “Through the Looking Glass” tale, but in a ‘lost format’. The story is printed in a font based on Lewis Carroll’s handwriting, and it contains more than 30 pen-and-ink drawings, trying to mimic Carroll’s style. The result is a book that quite looks like a manuscript that Lewis Carroll could have written, if he had indeed created one for the “Looking Glass” story! The Anniversary Deluxe Edition of this well-known ‘Alice bible’ compiles over half a century of scholarship by leading Carrollian experts to reveal the history and full depth of the Alice books and their author. 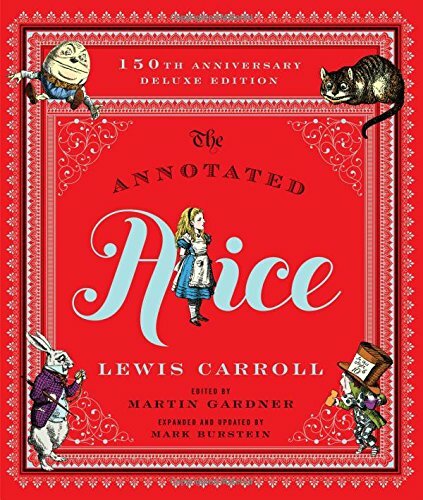 It combines the previous ‘Annotated Alice’ editions and includes over 100 new or updated annotations, illustrations from other illustrators and a filmography. This gorgeous edition of Alice’s Adventures in Wonderland opens out into a carousel shape! The book is an abridged version of the original text by Lewis Carroll. When you open it, you can fold it out and tie the covers to eachother, as to form a six sided carousel. Each side shows a 3-dimensional scene, created from John Tenniel’s original illustrations.